2017 was an interesting year, to say the least. There were ups and downs along the way like the Houston Astros winning the World Series, all of North America was treated to a total solar eclipse, and then the Dallas Cowboys had a less than stellar season after showing so much promise in 2016. Although national news may have been a roller coaster ride with all its natural disasters and political discussions, the Tyler and surrounding communities news was much more manageable and steady. Speaking of manageable and steady, did you know that in 2017 Burns Commercial Properties had a total of 47 sales closed? The Burns Commercial Properties Brokers and Agents truly care about Tyler and East Texas and consistently work diligently to handle each task with the utmost importance and urgency. After all, being the recognized market leader with client focused results is really what we’re all about. We’re excited for another new year with its own ups and downs. In the meantime, below are just a few of the notable closings in 2017. For over a year, Taylor Burns worked with Sanderson Farms, Inc to find them sites for a processing plant, feed mill, and hatchery in the East Texas area. In April 2017, that dedication and perseverance culminated in the closing of a 552 acre tract in Smith County and a 237 acre tract in Wood County, on the southeast side of Mineola. The larger of the two tracts will be the site of the processing facility while the Wood County tract will focus on the feed mill and rail spur. Sanderson Farms expects to invest approximately $200 million in the new Texas complex and anticipates that associated contract growers will invest an additional $135 million in poultry production facilities. At full capacity, the complex will employ approximately 1,700 people, will require 80 contract growers, and will be equipped to process and sell approximately 375 million pounds of dressed poultry meat annually at full production (source: Sanderson Farms, Inc press release dated March 16, 2017). A local East Texas doctor has purchased the Blood and Cancer Center of East Texas in Tyler’s medical district. For many years, the Blood and Cancer Center of East Texas has been committed to supporting and encouraging research to discover new and effective treatment regimens against cancer and blood disorders while maintaining a personal relationship with their patients and their families. The 9,166 square feet office, originally built in 1981, will soon be the new Tyler location of Zeid Women’s Health Center. Dr. Zeid and his staff have offices in Longview, Henderson, and Tyler and are an all-inclusive women’s gynecology and obstetrics health center that is dedicated to caring for women throughout every stage of their lives. The property was marketed and sold by Burns Commercial Properties’ Broker, Mark Whatley and Agent, Blair Swaim who represented the seller and closed the transaction in October 2017. CHRISTUS Trinity Mother Frances has recently leased almost thirteen thousand square feet of office space in Woodgate Centre. 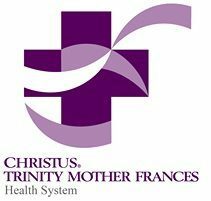 In May 2016, Trinity Mother Frances Hospitals and Clinics reached an agreement with CHRISTUS Health to become CHRISTUS Trinity Mother Frances Health System. Since that time, CHRISTUS Health has continued to expand in East Texas and into North Texas. The office space at Woodgate Centre will be used for Administrative offices including Accounting and Human Resources. The lease was successfully negotiated and finalized in November 2017 by the Burns Commercial Properties team including Mark Whatley and Glenn Eikner with operations assistance from Janine Kanady, Property Manager. In October, CHRISTUS Trinity Mother Frances Health System purchased a 3.90 acre tract on Highway 31 in Chandler, TX. The land is intended to be used for the use of developing a new fitness center. Some of the current fitness centers operated by CHRISTUS Trinity Mother Frances include hydro therapy pool with hot tub, group fitness training studios, resistance training equipment, free weights, and cardiovascular machines including StairMaster® equipment, upright and recumbent bicycles, cross trainers and treadmills. The property was marketed and sold by Burns Commercial Properties’ Broker, Mark Whatley and Agent, Aaron Uncapher who represented the seller during the transaction which closed in October 2017.